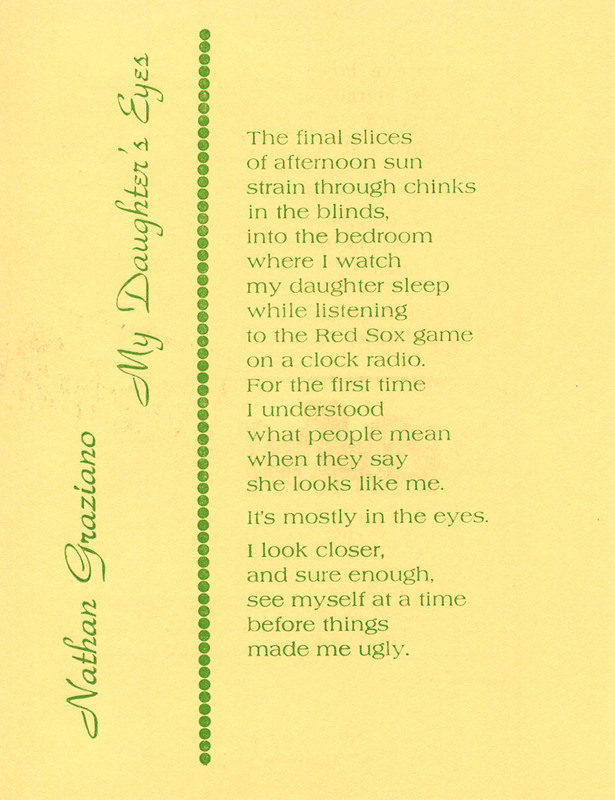 Nathan Graziano lives in Manchester, New Hampshire with his wife, Liz, and two children, Paige and Owen. He teaches English at Pembroke Academy in Pembroke, New Hampshire, and is currently an MFA student in fiction writing at the University of New Hampshire. He has been nominated numerous times for a Pushcart Prize. Someday, he hopes to be a rock star and wear leather pants on stage.